We’ve discovered from speaking to clinicians, physiotherapists, nurses and occupational therapists across the world during training sessions and at industry shows, that there is an increasing need for guidance and support when dealing with patients with a bariatric condition who have low mobility. There is currently a lack of both proper equipment to optimise postural support and pressure redistribution, and understanding of how to best treat this patient category. Seating patients with a bariatric condition can pose risks to clinicians and staff alike. The unique body shape and increased weight and size of the patient can increase the risk of injury to caregivers. The patient too can be at risk of manual handling injuries when working with improper equipment that does not provide support and stability. 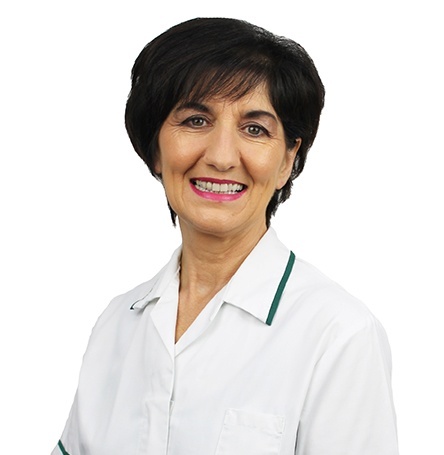 Due to the difficulties incurred in transferring patients who have a bariatric condition, it has often been the case that these patients remain in bed for longer and longer, increasing the risk of pressure ulcers and decreasing their mobility even further. Instability provided from an improper chair can lead to pelvic tilts further increasing the risk of pressure ulcers in high interface areas. In sit to stand transfers, the anterior tilt function empowers the patient to be more independent and reduces the need for caregiver assistance and/or the use of patient lifts/hoists. This gives the patient more confidence and independence, encouraging them to be more mobile. The easily removable arms on the Bariatric Sorrento ™, assist with side transferring or sling application and removal. The powered tilt options give the user the ability to control their angle of tilt, back angle recline, and therefore pressure redistribution. These functions make the adjustments effortless and easily performed by the patient or carer, reducing risk of unnecessary injuries. The Bariatric Sorrento ™ is mobile and perfectly suitable for a home environment, meaning patients do not need to be resigned to bed rest in a hospital or care home for longer than necessary. The chair provides optimum pressure management and therefore reduces length of stay in hospitals or care environments by drastically reducing the risk of developing pressure ulcers. . Everything down to the chair dimensions were carefully considered – even the widest Bariatric Sorrento ™ will fit through a normal door frame. Due to the extra tissue in the posterior lumbar region, bariatric patients are often resigned to sitting forward in their chair which leaves their back unsupported. The Bariatric Sorrento ™ has a removable cushion at the lumbar level to accommodate the gluteal shelf, whilst providing full back and leg support. By accommodating individuals up to 650 lbs (295kg / 46 stone) often we hear that the Bariatric Sorrento ™ is the only solution that has let their patient or loved one get out of bed, and sit upright for a long time. The difference in bed rest versus seating on a patients’ psychological health cannot be underestimated. Prolonged bed rest often leads to various health complications which are eliminated or vastly reduced if we can get the patient to sit in a proper chair, i.e. contractures, digestive problems, as well as fatigue and depression. In sitting up they can perform minor tasks for themselves that they might not be able to do on bed rest i.e. read, write, and self feed. Pressure risk whilst using the Bariatric Sorrento ™ is greatly diminished through various functions such as the back angle recline and tilt in space, which enable safe and easy pressure distribution, that are motor controlled by the patient or carer. 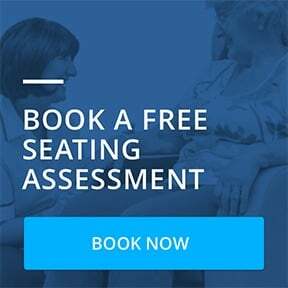 There is also substantial clinical evidence showing how the Seating Matters chairs can improve comfort, redistribute pressure, improve oxygen levels in the blood – all of which can help combat against skin breakdown.